I captured this vivid fiery sunrise not far from the Pine Springs Campground. 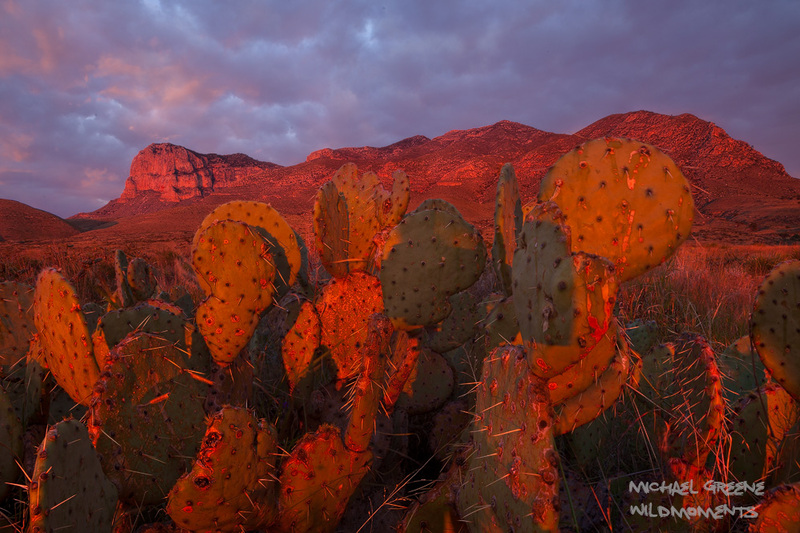 A large prickly pear cactus turned bright red as the sun rose above the horizon on a stormy morning. The whole mountain profile turned a crimson red for several minutes. The Guadalupe Mountains are located in West Texas and feature the state's highest peak. Photo © copyright by Michael Greene.